The Bi-Partisan Preparatory Commission met on August 7. It made two important announcements before beginning with public testimony. The first was that the Commission’s report would be published by August 25. This date was premised on the need to get the Commission’s report included in the Secretary of State’s voter information handbook. The Secretary of State had informed the Commission that if it wanted its report to be in the handbook it had to meet his August 25 deadline. As Beverly Clay and I argued after the first Commission meeting, the Secretary of State should not allow the Commission to assume this unprecedented power, which is nowhere required by law. The Commission again didn’t acknowledge that the original July 30 report deadline, which the General Assembly included in its enabling legislation, was not met. When most ordinary people miss a boss’s deadlines, let alone one specified by law, an explanation is usually expected. The second announcement was said to follow from the first. Originally four public hearings were planned throughout the state. Now there would be three, all held at the State House, in order to meet the August 25 deadline. If that means that all three public hearings will be webcast, I like the change. August 19 and 21 were set as the tentative dates for the remaining two public hearings. The Commission is made up of twelve members. Only eight showed up for the roll call at the beginning of the meeting. The meeting lasted 70 minutes. With 20 minutes left, only seven remained; with five minutes left, only six, which was less than a quorum. At the July 31 Commission meeting, the chair said that all commission members would have a chance to submit their vacation plans before the four public hearing dates would be set. The low Commission member turnout suggests this either wasn’t done or the feedback was ignored. One of the Commission members noted that he may have received even less public notice of the August 7 meeting than the public. As Beverly Clay’s testimony observed, the public notice for the Commission was posted 48 hours and 25 minutes before the Commission convened. The law requires 48 hours’ notice. Remarkably, as of 6:00 pm on August 8, the Commission was still not listed on the General Assembly’s “Commissions” page, which is the gateway to commission information. However, the Commission’s agenda and time of posting was available prior to the meeting if the “Commission Agenda” button was pushed at the bottom of the “Commission” page. However, agendas disappear after a meeting is held because the button is only for future agendas. I presume the lack of an easily accessible Bi-Partisan Preparatory Commission home page was a minor clerical omission. But the poor public notice seems to be more systemic. As for the public testimony, nine people spoke. Eight generally supported holding a constitutional convention, one opposed. Seven of the eight generally conceived of the constitution addressing democratic reform issues. The eighth focused on education reform (to equalize educational funding). Six of the nine addressed procedural issues a constitutional convention might address. Most of the recommendations overlapped and closely modeled the enabling act for Rhode Island’s 1986 Constitutional Convention. I covered the recommendations most likely to be widely publicized in an earlier blog post. Two of the nine people who spoke were elected officials (one a mayor from Cranston running for governor, another a member of the Providence City Council). Most of the others mentioned current or former leadership positions with good government groups, including Operation Clean Government, the Rhode Island Center for Freedom & Prosperity, Common Cause Rhode Island, and the American Civil Liberties Union of Rhode Island. As for a prediction, I’d predict that the opponents of a constitutional convention will come out in greater force at the remaining two public hearings (their only advocate at this hearing was the American Civil Liberties Union of Rhode Island). But I still think the major players will hold their firepower until it really counts. Usually, when it comes to state constitutional convention referendums, the opponents hold their firepower until the last few weeks—and often just days—before an election, when the press is distracted with more high profile candidate races. They’ll then utilize their access to top political operatives to design a masterful media campaign and outspend the advocates for a convention by an order of magnitude or more (e.g., see ‘Dark money’ drives R.I. constitutional convention votes). Sometimes there will be op-eds, but the focus will be on sound bite sized arguments; that is, media campaigns and robocalls. More in depth arguments will be provided in member newsletters, which are highly controlled environments where opposing arguments won’t be aired. It would be great if there could be a substantial debate now, when it’s still possible, about the benefits and risks of convening a state constitutional convention. If the Commission spurred such a debate, it would provide a great function. I’d bet against it. But the first two public meetings of the Commission were full of surprises. Perhaps there will be more to come. The Providence Journal‘s news report can be found here. Attached is the written meeting testimony that was submitted to the Commission. If more becomes available, I will try to post it. 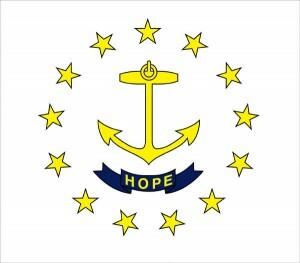 *member of RhodeIslandConCon.info’s Advisory Committee.